Da Doo Ron Ron", is played by sign request. "Da Doo Ron Ron" is a song written by Jeff Barry, Ellie Greenwich and Phil Spector. 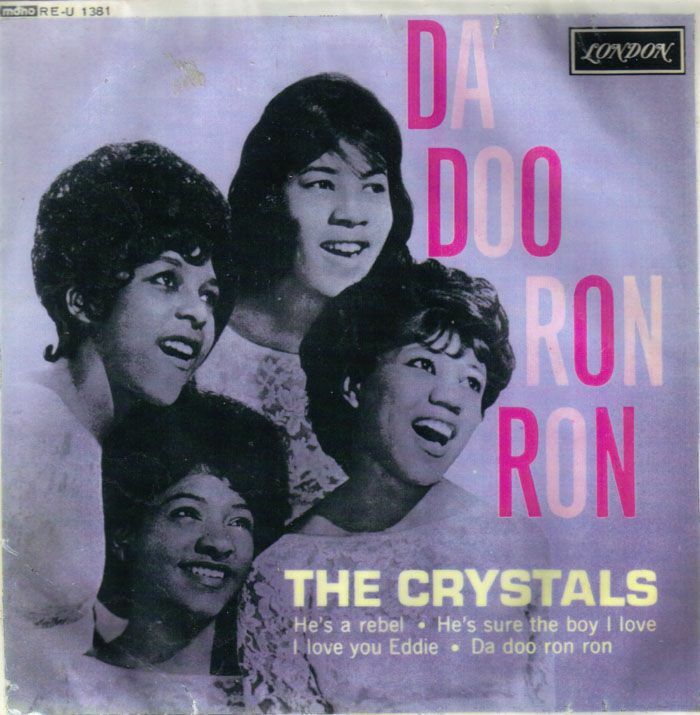 It first became a popular top five hit single for the American girl group The Crystals in 1963. The title "Da Doo Ron Ron" was initially just nonsense syllables used as dummy line to separate each stanza and chorus until proper lyrics could be written, but Spector liked it so much that he kept it. Bruce covered 7 songs of The Crystals / Darlene Love : From 1985 till 2016 He was with her 5 times together ons stage. In 2009 they were together at stage in MSG. ( 2009-10-29 Madison Square Garden, New York City, NY) . He inducted her with a lot of admiration and as : "the voice of Phil Spector’s greatest creations". 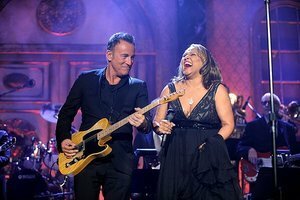 In 2015 Bruce wrote 2 songs for her album "Introducing Darlene Love". Bruce also appeared in her video of "forbidden nights"
"Then Spector and the Wall of Sound. Phil's entire body of work could be described by the title of one of his lesser–known productions, "He Hit Me (And It Felt Like a Kiss)." Phil's records felt like near chaos, violence covered in sugar and candy, sung by the girls who were sending Roy–o running straight for the anti–depressants. If Roy was opera, Phil was symphonies, little three–minute orgasms, followed by oblivion. And Phil's greatest lesson was sound. Sound is its own language. I mean, the first thing you would think of with Phil Spector is (soundbite of mimicking a drum beat). That was all you needed."